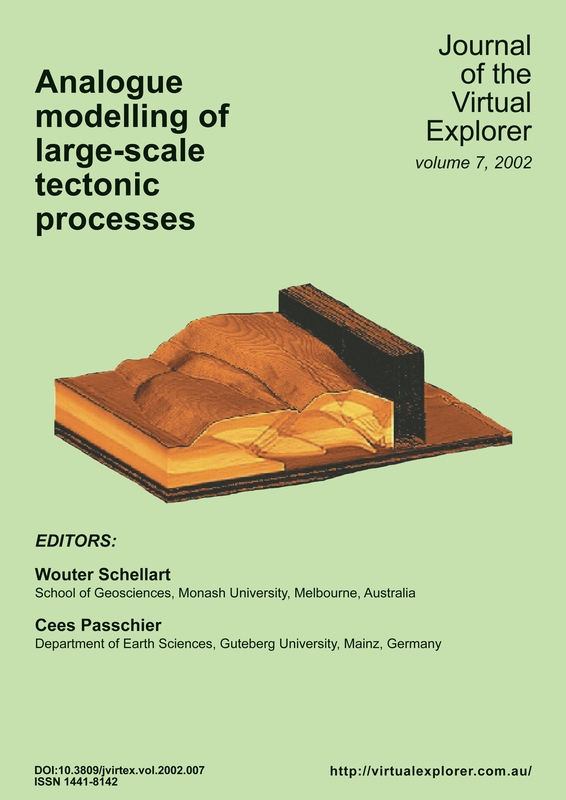 Analogue modelling has been applied to study geological processes since the beginning of the 19th century to provide qualitative and quantitative insights into specific geological problems. The advantage of analogue models is that they offer the opportunity to investigate the individual influence of different parameters on geological processes. Furthermore, boundary conditions can be set according to the needs of the experimenter. Also, they offer the opportunity to study the 3D structural evolution of a specific model, thus supplying a clear coherent kinematic picture, which can help with the interpretation of natural prototypes. Since the modelling technique can be readily applied to offer solutions for three-dimensional problems involving large strains, it can offer invaluable new insights into geological problems, which are intrinsically three-dimensional and often involve large amounts of strain.